We’ve found some amazing bands to join us during the parties! We’re presenting both international and local bands, and are looking very much forward to announce them. 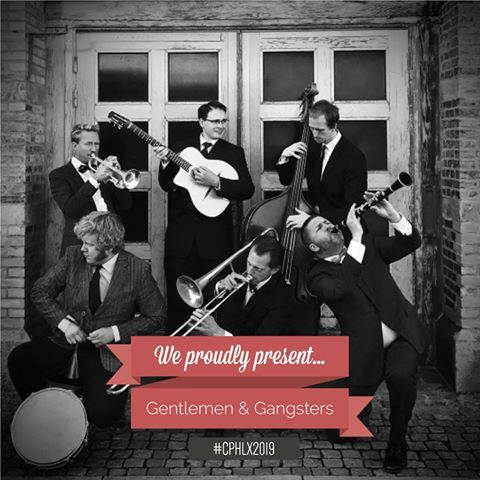 Gentlemen & Gangsters play traditional New Orleans hot jazz with all the flair and sophistication of true gentlemen, coupled with the ruthless brutality of hardened gangsters. Armed with drumsticks instead of knuckle dusters and trombones instead of tommy guns these deranged masterminds spread mayhem, joy, and decadence wherever they go. Dancers from all over the world have praised them for their energy, presence, and sensitivity. We have seen them in 2015 and 2018 and we agree with all of this! And yes, we want you back in 2019! Shirt Tail Stompers played at 3 CPH:LX’es already – 2015/16/17! Their performances were always a blast! They are back for 2019 and it’s a pleasure to have them again! 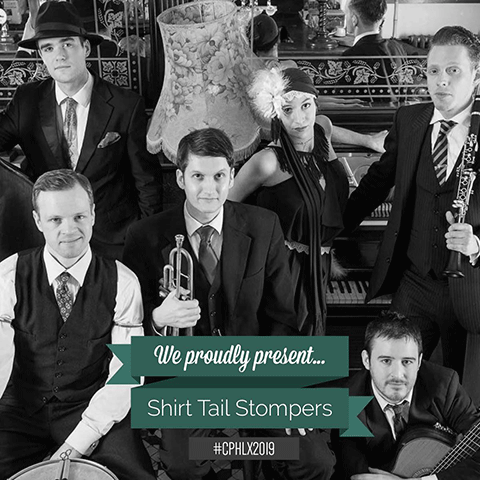 London’s top vintage band, the Shirt Tail Stompers are firmly established at home and internationally playing Harlem Swing and the Hot Jazz of the 1920s, 30s, and 40s. Featuring music from composers such as Duke Ellington, Benny Goodman and Count Basie. Let’s welcome South London’s finest Musicians bringing you the hottest in Swing music, Prohibition, Swing Dance, and Cabaret! Blues is an important part of Copenhagen Lindy Exchange which always brings some more magic moments making our parties so special. And it would not be the same without Christoffer Johansson, who has a long history of performing at the Copenhagen Lindy Exchange. It’s our pleasure to introduce the first artist whose music will fill our blues room. 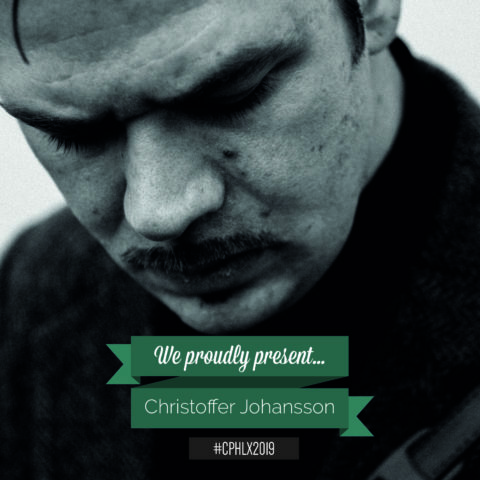 Christoffer Johansson has a way of taking the stage and making it his. With faultless sense for drama and suspense, he reproduces the blues, ballads and spirituals of early 20th century America. Whether plucking his strings or just clapping out a rhythm, his gritty voice will keep you spellbound, hanging on every word. 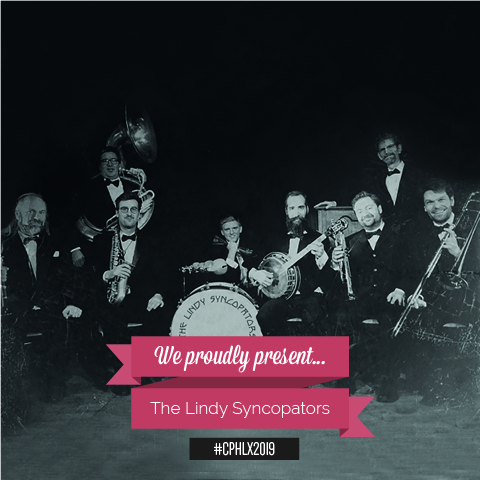 The Lindy Syncopators is a 1920’s style dance band that mainly focuses on the music played during the prohibition period in the USA. The music that gave rise to different dances such as the Lindy Hop. They have that certain swing approach to the music, that makes it a great band with big diversity in their style of playing, so they fit most swing dancers desire such as Lindy Hop, Balboa, Shag or even pre-swing dances as one-step, two-step, and Peabody. 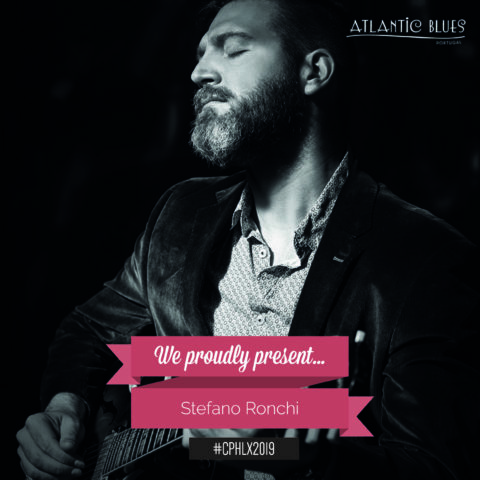 Let’s go back to the BLUES roots and traditions with amazing Stefano Ronchi, what a delight to have him at Copenhagen Lindy Exchange 2019! Stefano “Slidin’ Wolf” Ronchi (Guitar Pills) is an Italian blues guitar player and singer living in Berlin. His way of composing and arranging is grounded in old black folklore music from the ’20s and ’30s, from Delta Blues and Piedmont Blues, through old Spirituals, stomp and “swamp” sounds. Passionate about slide guitar, he looks at the tradition with his personal, modern and respectful attitude. He is constantly touring around the World, playing in blues clubs, Festival, and blues dance events as a solo artist or collaborating with other great musicians. He is currently touring in Europe with Tony Coleman, who has been a drummer for many blues legends like Albert King, Albert Collins, Etta James, Ruth Brown, and for the king of the Blues himself: B.B. King, for almost 30 years. Guitarist and singer Jake Green has won the “Danish blues name of the year 2017” award and has played with just about everyone in the Danish blues scene, not least as a steady host since 2006 at the legendary Thursday Night Blues Jam at Mojo Blues Bar in central Copenhagen. Jake has also wielded his signature green Gibson guitar on the stages of Austin, New York, London, Thailand and Spain to great acclaim. 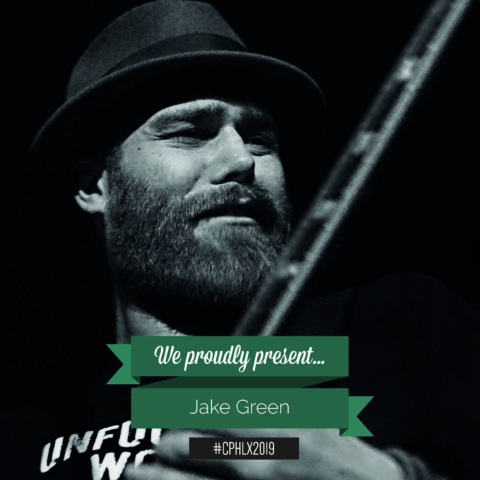 It will be a third time having Jake Green at Copenhagen Lindy Exchange and we definitely love the unique sound of his guitar & powerful voice – the combination not to forget!